One of the perks of studying in Jerusalem is “winter break”. No, not our winter break, but rather, those of foreign universities, during which many scholars end up visiting Jerusalem. For the Talmud Blog, this allowed us to hear Ron in person (the day before Stephen Greenblatt, in a lecture on Lucretius at Hebrew University, commented that the Talmud can be likened to Bruno Latour’s concept of “compositionist”), and here in the HUJI Talmud department, this meant that we were privileged to hear a presentation by Judith Olszowy-Schlanger of the Sorbonne. Olszowy-Schlanger heads a pan-European project entitled “Books within Books” that seeks to locate, photograph, and describe every Hebrew manuscript that can be found in the bindings of mostly Latin books now in libraries across Europe. The name of the project, “Books within Books”, comes as a correction to the misleading term “European Genizah” often used in describing these manuscripts. “I’ve worked with the Cairo Genizah,” Olszowy-Schlanger said, “and this is not a Genizah.” Examples of such material has already been known of since the end of the 19th century. Indeed, some countries have already been sifting through their fragments for some time. Italy started to do so more than thirty years ago, and Austria and others already have their own websites. Olszowy-Schlanger discussed the many technical difficulties in separating the manuscripts from their “host volumes.” As some of the scholars in the room were already aware, the price of separating a piece of parchment from the binding can run upwards of 1,000 Euro. Paper manuscripts were often pasted together twenty pages at a time, creating a carton that would be strong enough to serve as a binding. Thanks to another costly procedure, these pages can now be salvaged in their entirety. Other problems include the very basic issue of convincing librarians to allow the bindings of their books be ripped open so that Hebrew manuscripts can be extracted from them. Dr. Olszowy-Schlanger in front of a slide that depicts part of the procedure used to separate a binding made of glued paper pages. After seven years of working jointly with other teams of codicologists and paleographers from Europe and Israel, Olszowy-Schlanger’s web-based database is about to be launched in mid-January. The BwB site already has links to those collections, like the Austrian one mentioned above, that are already available online. The current stage of the website will only contain new material in its own database from countries such as France, Poland, the Czech Republic, Sweden, and more. It turns out that England, famous for its thousands of Cairo Genizah fragments, has proven particularly difficult to catalog due to the wide dispersion of the “books within books” that may be found there. In, England, manuscripts (not just Hebrew ones) were already used as bindings as early as the twelfth century. Also, some of the fragments that were clearly pulled from European bindings have somehow found their way into such British collections of Cairo Genizah material like the famous Taylor-Schechter collection. The website is browsable by title and by library, and each photographed fragment is accompanied by an exhaustive amount of details pertaining to its codicological and paleographic characteristics, references to secondary literature, and even the contact information of the scholar who provided the information. Additionally, the website has a list of “mutual books”- fragments of the same original manuscripts that are now found in the bindings of different books, often times even in different libraries (what in Genizah-speak is usually termed “joins”). Overall, the site seems to be easy to use while still providing a large amount of information. It will no doubt become an irreplaceable tool for scholars upon its release (signup will be free, like the FGP site). According to this passage, which is reproduced above from the Vilna edition, the first in the list of people divinely excommunicated is ‘a Jew who does not have a wife’. Since it is more than clear that the Talmud’s target audience is made up of (rabbinic) Jews, the emphasis on the lifelong bachelor’s Jewish identity is strange. Note also that this marker does not appear in the rest of the passage, which goes on to list the other offenders without noting their religious persuasion. A look at the manuscripts reveals that none record the reading “a Jew”, and even early prints omit it as well. Dikdukei Sofrim points out that the first printed edition that contains this ’emendation’ is the Basil ed. and that it reflects an act of censorship. Some scholars might say that this reading has no real philological value, but surely it is still useful for understanding the habits of early modern censors. In this case, the change is more than the usual fare. It does not respond to an unflattering portrayal of Christians or Jesus. Rather, it reveals someone troubled by the Talmud’s internal discourse. Here, the very assertion that not getting married is grounds for divine excommunication is seen as a threat to Christianity. Clearly, the passage negates the view that the celibate life is the good life, yet I doubt that it was directed at Christians. By adding the word “a Jew”, the censor attempts to limit the scope of the talmudic statement to the Jewish community, and the lady doth protest too much, methinks. In his Demonstrations, the fourth century church father Aphrahat felt the need to respond to Jewish views about virginity that irked some Christians (His second, carefully argued demonstration on the topic is worth reading in full, and should be compared with early Jewish biblical traditions, as Naomi Koltun-Fromm has recently done). Apparently, what Jews said about celibacy bothered at least one censor, over a millennium later. And the evidence remains in a variant in the classic, Vilna edition. Among the many advantages of studying in Jerusalem are the many wonderful opportunities for class-outings. Not since elementary school have I been on so many field trips. Last week, I managed to get myself on a tour of The Shrine of the Book organized by the student councils of the departments of Bible and Hebrew Language. The tour was led by Dead Sea Scroll experts Prof. Emanuel Tov and Prof. Steven Fassberg. Whereas the Masorah uses the passive Qal (imperfect 3rd person masculine singular) twice, in the first instance The Great Isaiah Scroll has an active Qal in the 3rd person masculine plural, and in the second it has a Nifal imperfect 3rd person masculine singular. The Qumranic version adapts the ancient passive Qal, which disappeared as Hebrew developed, to more current, perhaps even spoken, forms of the verb (see Kutscher, The Language and Linguistic Background of the Isaiah Scroll, pg. 364). For many on the tour such examples were startling. This attitude towards the biblical text and its transmission seemed at odds with the commonly recieved image of the Qumranic sect as a pious, elitist, and extremely devout group. How could such a group treat textual transmission – of the bible no less – so lightly? This question relates to what we expect from scribes, and how we are to imagine them. Must a pious scribe be a copious one with a significant amount of reverence for the text? And what does “reverence for the text” even mean? As these questions started to pop up in my head while exiting the shrine, I thought of their relevance to some of the well-worn partisan debates from the field of Rabbinics, and how scholars of biblical and rabbinic textual criticism might work collaboratively on problems of textual transmission. A few months ago, news broke in the Israeli media of an important manuscript trove that was discovered in Afghanistan. A spate of articles appeared in the press, each one covering just a bit more than the one prior it. Even Israeli television did not lost interest. With all the breathless reporting, the purple prose, and the melodramatic music playing in the background, it has been difficult to get a clear picture of what the value of the collection really is. Last evening, Shaul Shaked delivered the annual Sara Soroudi lecture on Mount Scopus in a small, stuffy, and packed seminar room. In his unassuming and dignified manner, Shaked gave an initial report on the find, and presented some documents which he read and commented upon. First things first: The collection apparently stems from around Dareh-Usuf in the vicinity of Balkhs in Northern Afghanistan. Of course neither Shaked nor the other Israeli researches interested in the documents have themselves seen the cave in which the collection was supposedly found. However, Shaked said that his sources in the region, which he claims are trustworthy, did testify to having seen the specific cave that stored the documents. We know that Jews lived in Afghanistan in the Middle Ages from inscribed gravestones in Kur, but until now we have had virtually no further evidence about the community. Documents have been trickling out for some time now, and particularly in the last two years. There seem to be some two-hundred fragments, though more turn up all the time. And the majority of the collection is held with dealers in London, though in some other locations as well – including Jerusalem. As of yet, all of the research has been done via photographs. The dealers have yet to make a deal. The find is known as a geniza by name alone. Like the Cairo Geniza, its contents are haphazard and do not represent a planned archival storage. Other than that, there is no evidence that the cave in which the contents were allegedly stored was associated with a specific Jewish communal institution. Further, its contents do not seem to have accrued gradually, rather apparently as a result of one (emergency?) deposit. The texts are mainly in Judeo-Persian, but also in Hebrew, Aramaic, Judeo-Arabic, and Arabic proper (that is in Arabic script, and sometimes even written by Muslims). Shaked provided a nice sample of documents, many of which were actually quite colorful and of interest beyond specialists. He discussed two piyutim that have yet to be identified. One poetically referred to a mosaic of nations of the world. Tafsirs were a favored genre in the Judeo-Persian world, and Shaked discussed two of them – one on Genesis and the other on Jeremiah. Both hewed very closely to the original Hebrew, and the tafsir on Jeremiah contained “Babylonian” vocalization on both the biblical text and the Persian translation. “Babylonian” vocalization is actually quite common in the documents, and seems to point to a ninth century CE dating. In general, medieval Persian-speaking Jews were not particularly interested in rabbinic texts. Shaked did show, however, a few texts of interest to Talmudists. One was a fragment from the second chapter of Mishna Avodah Zara. It seems that the text is close to the known geniza fragments, which would then again imply that written Mishna fragments outside of the Babylonian Talmud stem from a Palestinian and not Babylonian tradition – even when they may well have been written down in Iraq. Mention was also made of fragments associated with Saadya’s commentary on Jeremiah and his responses to Hiwi, while a fragment was shown that refers to the ba’alei miqrayim – perhaps a reference to Karaites. In addition, a charming philosophical text spoke of the endless production of books and book learning. The apparent connection to the Muslim world could be seen in a hadith-like Arabic fragment from the collection; while a business ledger dated to the eleventh century provided a window into everyday life. Finally, a long and detailed letter recounted the story of a poor chap who fled Bamiyan due to accusations of improper business practices and Sabbath desecration. He had to leave his wife back in Bamiyan in order to go live in Razny, and he defends himself in the letter. And so, a nearly millennium old human interest story. From the evidence, the people associated with the documents seem to have known not only Judeo-Persian and Hebrew, but also Arabic, which may point to recent origins in Babylonia. Regardless, from the small sample that was shown, there is no doubt that the collection is extremely important for reconstructing the history and texture of life of c. eleventh century Afghani Jewry. The problem of course is that nothing can really be published until the collection is purchased. And here one begins to wonder about matters that Shaked did not discuss: Have some of the dealers been feeding off of the media hype and inflating the prices beyond reason? There is no doubt that there are serious potential buyers out there interested in purchasing these truly important documents and making them available to scholars. But generally, buyers with the serious funds needed for a collection of this sort are not dumb, and they are not interested in paying far beyond the reasonable value. No doubt, antiquity dealers have a right to charge a handsome sum for a valuable collection, but it must be within reason. They should know that sales of this type are based essentially on trust. And let us not forget, they too have a responsibility to preserve the heritage reflected in the documents by making them available for research. If the documents are to finally reach scholars, it will take a dealer, or a group of dealers prepared to negotiate in good faith. There is simply no other way. UPDATE: See Avraham Yoskovich’s comment in the comments section for a review of Haggai Ben-Shammai’s “companion” lecture at the National Library on Tuesday, May 1, 2012. As is the custom, the friends and members of the Talmud department convened this Sunday to award prizes and remember the founder of the department – J.N. Epstein – and one of its master teachers, E.S. Rosenthal. The Epstein prize was awarded to Ms. Shikma Kaspi, who gave a paper on the increasingly scholastic nature of the debate on the penalty for unintentional murderer in rabbinic law. Kaspi claimed that if biblical law was interested in either apprehending an intentional murderer or hiding the unintentional one in a sacred precinct, rabbinic law – having no such sacred precincts – was increasingly interested in the details and particulars of the mistaken act. Kaspi pointed out that B. Mak 7b brings matters to an absurd conclusion, when – like a 9th grade physics teacher – it maps out the various positions and vectors of a meat-cleaver swung over a mishappen butcher’s shoulder. Kaspi took it to mean that the heat of the moment was no longer a concern for the sages. (Following Isaac Baer, she could have also pointed out that rabbinic though understood the cities of refuge to be not only a kind of protective custody, but a penalty in and of itself, following Greek law). Dr. Ronni Goldstein of the Bible department was awarded the Rosenthal prize. Goldstein discussed several Rabbinic Hebrew words that are better explained by Akkadian. This continues an effort begun already by B.A. Levine, in his awe-inspiringly short doctoral dissertation, and Goldstein added several more words to this list. Most striking, in my opinion, is the Tannaitic reading of Lev. 24:16: “the man (=the blasphemer) shall be put to death; the entire assembly shall stone him with stones”. In Sifra this verse is read thus: “all the assembly shall be his enemies”. Now, on the face of it, this simply means that since the verse already says that the man shall be put to death, the second clause, that of stoning, is superfluous. Additionally, the requirement to stone the blasphemer has already been stated in 24:16. And so, to avoid superfluity, the tannaim derive a moral lesson from the verse. Goldstein showed that in Akkadian both ragamu and bel debabu (I misplaced the handout, ANE specialists, please correct me in the comments) have legal connotations: the first is a law-suit or a complaint, and the second is a legal adversary. Tannaitic Hebrew contained both terms, and the Tannaim read רגום as meaning not “stoning” but “suing”. The homily means therefore: “the entire community shall be his legal adversaries”, pointing out that the blasphemer also, apparently, sinned against the entire community. 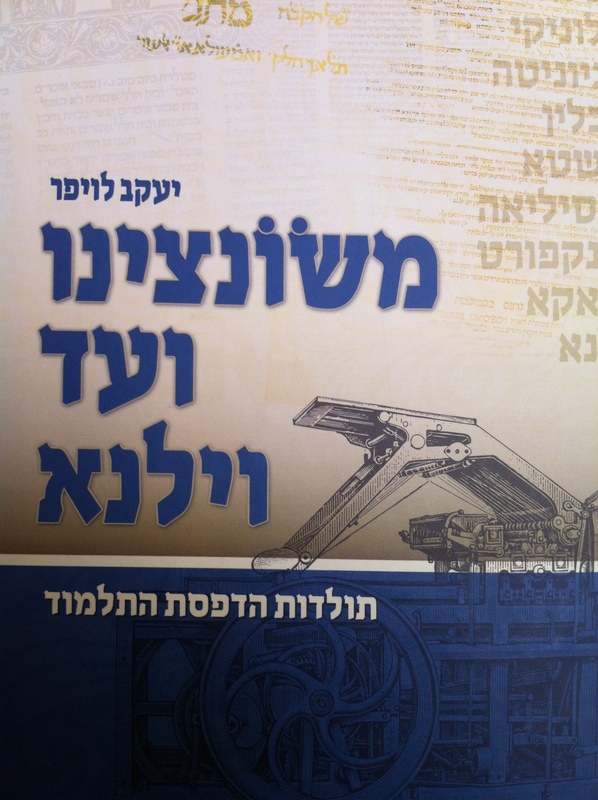 In the news department, Prof. Menahem Kahana used the occasion to announce that the catalog of all Mishnah, Tosefta, Yerushalmi and Bavli fragments is now in print, and even held up a copy of the title page to prove it. Similar announcements have been made in the past (see, e.g., Yaakov Sussman’s article in Teuda 1 (1980) and its continuation in Mehkerei Talmud 3 (2006)), but this time – as sources confirm – it is for real. The real question, however, is whether the database used to create the printed catalog will be released in the near future as well. Last night, Dr. Youval Rotman of Tel Aviv University lead the inaugural discussion of Hebrew University’s Group for the Study of Late Antiquity. The Group, which was started by Uriel Simonsohn and I in order to create an active scholarly community for researchers working on different corners of late antiquity, will be meeting monthly for group text-study and conversations, topped off by cheese, crackers, and Israeli wine as robust as the discussions. Rotman’s topic was “Captives and Redeeming Captives in Late Antiquity: The Law and the Community,” and a crowd upwards of 30 (that’s in quantity, though I suppose also in age) read texts by Ambros, Tertullian (and more), along with rabbinic sources from the Mishna, Tosefta, and Babylonian Talmud (sources are available here). A number of interesting trends were noted, included an apparent development in communal solidarity that turned captive redemption from a more private, family affair into a public, community-based activity. A connected issue that came up was the role of the state, or lack thereof, in redeeming captives. Apparently, once you hit late antiquity Roman and Byzantine legislation forbids the state from redeeming prisoners of war. Ifra Hormiz the mother of King Shapur sent a moneybag of dinars to Rav Yosef. She said to him: Let it be for a great mitzvah. 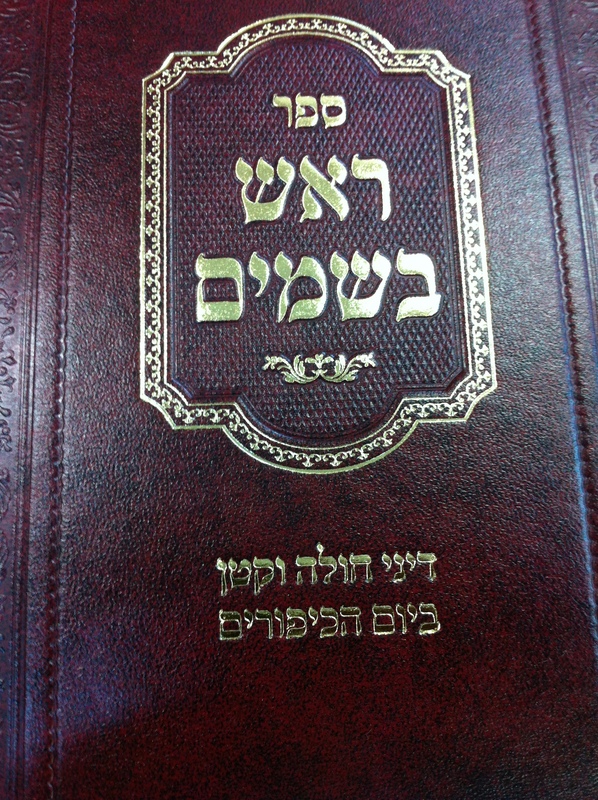 Rav Yosef was sitting and looking into it – what could be a great mitzvah? Abaye said to him: Since Rav Shmuel b. Yosef taught that we do not levy money for charity from orphans even for the redemption of captives, it may be concluded that the redemption of captives is a great mitvah. (b. Bava Batra 8a-b; according to MS Hamburg). The story is fascinating for a number of reasons. But in the meantime it is noteworthy that the talmudic storyteller has the queen-mother essentially delegating (and funding) rabbis to redeem (Jewish?) captives – as opposed to having the Sasanian state take care of it by itself. And it is the rabbis as a group who are in charge of captive redemption – as we also find at b. Taan 22a, where a case of captive redemption (apparently – though see the MSS) “visits upon” the rabbis, again apparently as a group. 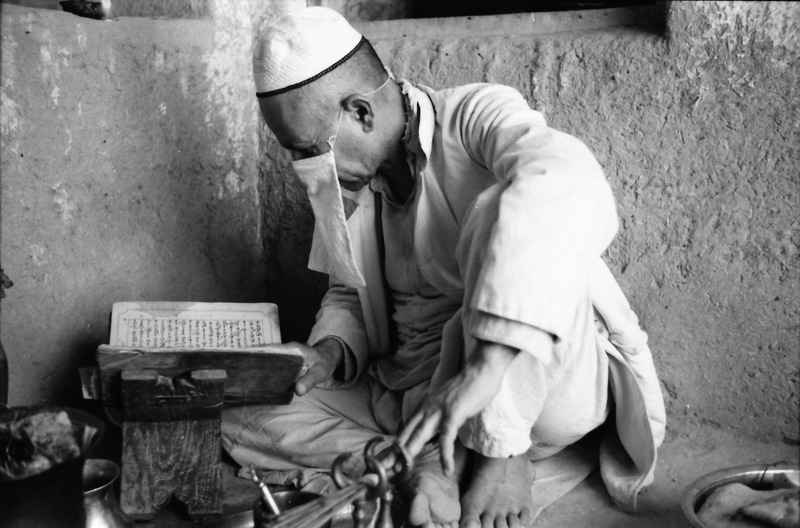 Next up is Prof. Shaul Shaked, who will be speaking on January 3rd on “Zoroastrianism: A Religion of the Book.” For that I leave you with the following, thought-provoking picture – courtesy of my friend Dan Sheffield who has been digitizing a treasure-trove of photograph’s by the late Mary Boyce.